One of the beats of Steven Spielberg’s seminal classic Jaws (1975) is the off-story and off-frame buzz of arriving tourists visiting the island of Amity for the 4th July holiday weekend. I wanted to be one of many characters in Jaws – the Kintner boy (he had cool ’70s Spielberg kid hair and a fairly grisly death scene), one of the Brody sons (this only child always wanted Mike Brody from Jaws 2 as my older brother) or perhaps a summer vacation intern for Polly, the police station’s admin god. Heck, I even wanted to get told off by local gossip and pearl-clutching Republican, Mrs Taft. But the least I could be was one of those lilo-clutching tourists in a part of the world that still has very real Great White Shark warnings posted about to this day. Jaws was shot on Martha’s Vineyard, Massachusetts. 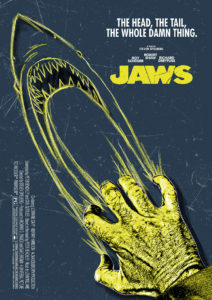 Plagued by production woes in the summer of 1974, director Steven Spielberg, his cast, crew and shark wranglers braved Cape Cod’s waters and infamously kept a production afloat that had more than its fair share of location setbacks, failing models, strong-willed cast members and studio concerns. Spielberg, his producers, production and location managers settled upon the Presidential playground and lobster trap that is Martha’s Vineyard. Many a movie is married to a location, street or town. In Jaws, Martha’s Vineyard instantly becomes a key support character – as vital to the verisimilitude (yep, Richard Donner’s ’70s mantra is writ large in Watching Skies) as those islanders, car ferries, fenced dunes and coyly edited jumps. 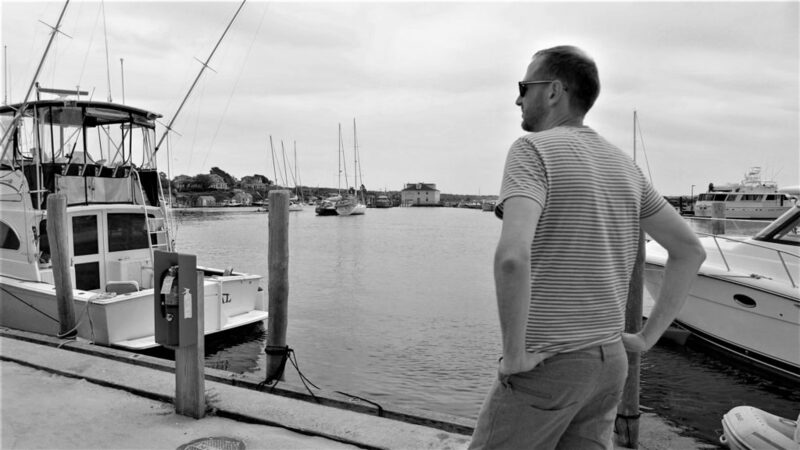 Martha’s Vineyard and its key Jaws locations of Edgartown, Oak Bluffs and Menemsha add a crucial sense of domesticity, working environs and a water-bound, but still very much a post-Nixon sense of Americana. So having flown to Boston Logan International and staying with great friends there for a few days, we were soon taking the ninety minute Bay Cruise ferry to Provincetown – the colourful and vibrant hub of lobster, Mojitos, John Waters, those beautiful MA wooden homesteads, Drag Race alumni shows, vital queer pulses and independent artists and galleries. From here all Amity-bound tourists can jump on an early morning commuter bus to the Kennedy stomping ground known as Hyannis. 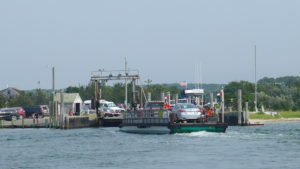 From Hyannis we take the Hy-Line ferry to Amity’s Islan – sorry – Martha’s Vineyard to the waterside town of Oak Bluffs. It is here where Jaws was first premiered to islanders in June 20 1975 at the now gone Empire Theater. It is here where you will find the [non-Jaws] tourist boltholes, bars, eateries and car rental outlets. And having hired an Oak Bluffs rental car from a bunch of teen kids working their Jaws 2 summer – a silver shark inspired Camaro complete with shark fin antenna, naturally – we set out on the Road to Jaws. contemporary indicators in a fishing village rightly proud of its produce and its movie heritage. Heck – Bill Murray, John Belushi, James Taylor and Carly Simon have all lived here. Menemsha houses the fishing and sailing commerce of this wood-built Cape Cod idyll. It is here where Scheider, Dreyfuss and Shaw first set off to the sounds of a jaunty John Williams sea-faring cue. And it is here where local legend suggests that the Orca boat built for the film had a double that ended up abandoned on the Chilmark shores. If you know where to look you can try and find the only piece of wood that remains of the Orca after forty or so years of movie location hunters taking a memento home. Jumping back into the Camaro and passing the Chilmark grave of actor John Belushi, we are soon already looking for a location sequel and the defining movie coastline that is South Beach. It is this lengthy stretch of sand, dunes and those Cape Cod fences where the cultural impact of Jaws is really felt. It is impossible to not park up and wander towards those dunes without putting yourself in an anxious Chief Brody tracking shot. As the sand arcs towards the surf and you note the beach guards, metal shark signs, volleyball matches, cool boxes and sand jeeps that the real Amity Island comes alive. It was of course here where actress Susan Backlinie and future producer and ’70s denim-blond Jonathan Filley (American Gangster) endeavour on a moonlit skinny dip that changed how the whole globe looks at the oceans and swimming in the sea forever more. Just a short drive on from South Beach is Edgartown – and the location of Amity’s streets, town hall, hardware stores, police station, bike shops and resident July 4th marching bands. You can keep your Universal Studios tourist pageants, exploding boats and unflattering memento photographs for twenty dollars each. Edgartown is the real Jaws experience. 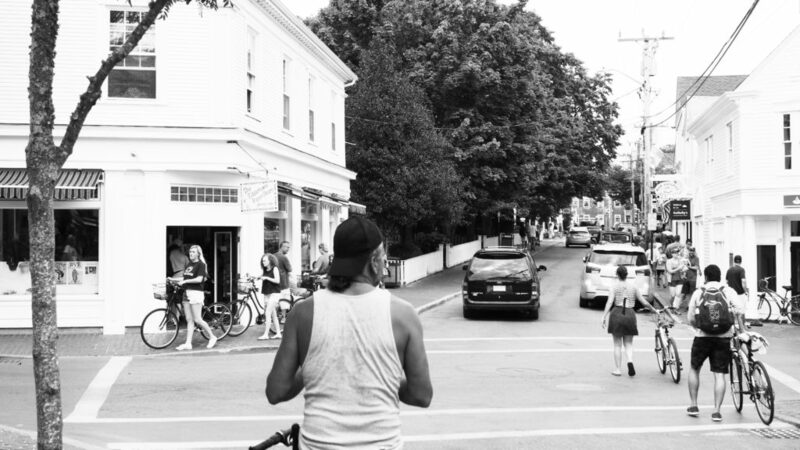 Edgartown is where Brody struts into the path of some Independence Day pageantry in search for some placards and paint. Edgartown is where the wooden-clad police station is now owned by a private family but still stands tall, where the local auditions for extras were held, where the Chappaquiddick Ferry is still operating in the same place, and where the crew and production was often based during that eventful 1974 shoot. Edgartown hasn’t changed either. Due to lens tricks and projection ratios the whole of Amity feels tighter and more condensed than the movie suggested. Yet, it is still the quiet white-board haven of Cape Cod Americana and Spielberg folklore. A local tour-guide offers Jaws tours from same the newspaper store where you can grab your ‘Amity Island‘ tees, placards and ‘Beach Closed’ trinkets. He can allegedly ensure visitors a look into the town hall and the very meeting room where Robert Shaw screeches his nails down a blackboard for attention. 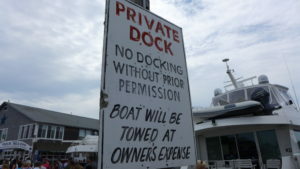 However, Edgartown parking is less easy and the traffic cops patrolling the Amity beat are rightly diligent when it comes to moving and parking. Maybe don’t spend too long getting photos at ‘The Chappy Ferry’ whilst the ever-growing trail of cars waits to board the most famous car ferry in movie history (you’re right – there are no others). That ferry still has the power to get locals wound up. 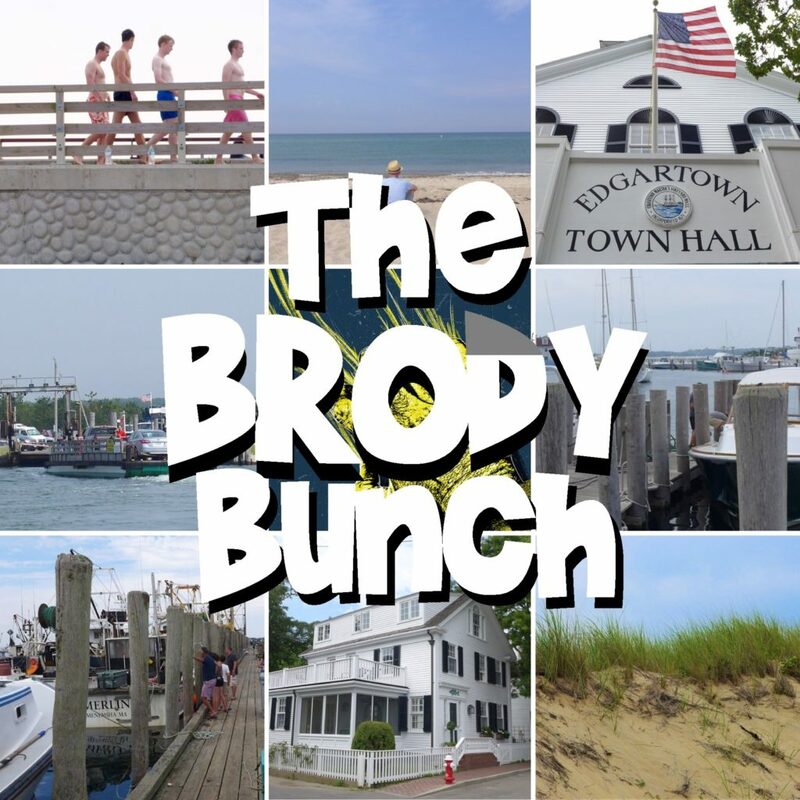 Another pleasing tic of Edgartown is just how geographically correct the locations are versus how they are depicted. When Scheider’s Brody marches out of the police station towards the hardware store, the route he takes is exactly the same urgent path down and through Edgartown. 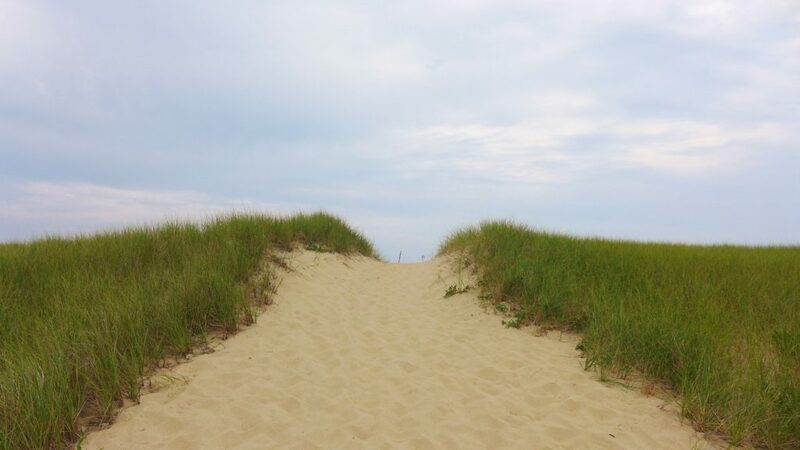 From Edgartown and a careful one-way only threading through its rabbit warren streets and side-roads, the final stopping point is Joseph Sylvia State Beach on the way back to Oak Bluffs. Jaws was actually shot on nearly as many different beaches on Martha’s Vineyard as the franchise had sequels. The one beach motif was merely a movie trick. As you park up alongside the reservoir and nature-heavy dunes and natural water-banks, on one side you have the American Legion Memorial Bridge and pool, and on the other is the thin beach where Brody and that deckchair fish-eye zoom shot happened. In reality, the Kintner boy death beach and the kids pool where the shark nearly lunches on some Brody kids are alongside each other. The local crowds, beach tents and huts were perhaps more set dressing than not – so the beach that had the most cinematic blood thrown at it is the less obvious to find. Despite the signs warning against it, it is still a summer rites of passage to jump off ‘The Jaws Bridge’ and into the once Bruce-infested waters of 1974. You can even buy a t-shirt in Oak Bluffs to profess as much. Again, the hazy business of summer on Martha’s Vineyard is most pleasing to any visiting Jaws fan. If you are really brave you can get your Chief Brody on and race and panic across the Memorial Bridge as the kids are jumping into the pool beneath. As Watching Skies details, it is most fun winding up naïve visitors that a shark has entered the pool. Though don’t do it when the cops are around. The real Amity police station will not have Polly offering you kindnesses and coffee. 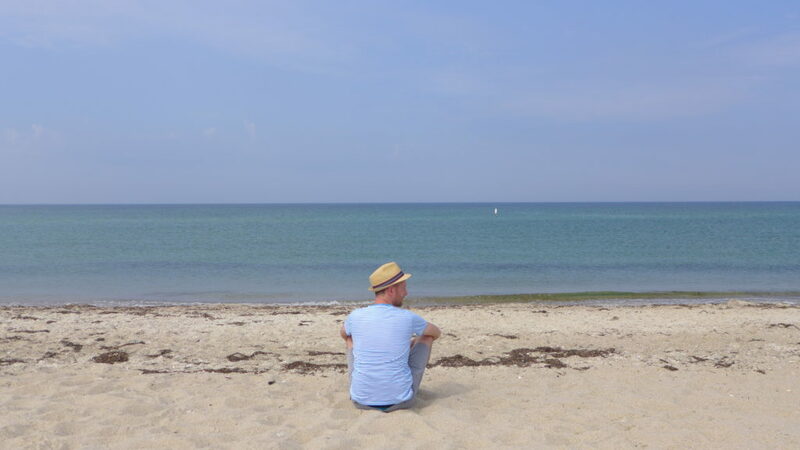 So whether you are a Hooper, a Brody or a total Quint, Martha’s Vineyard is not only one of the most apt destinations for Eighties sky kids and their VHS memories of 4:3 scares, bath-time hand fins and sneaking back into the lounge when watching the skies of Jaws was not yet allowed. It is also a quietly beautiful gem in the crown of Cape Cod. Maybe those Presidents, future movie moguls and plastic sharks were onto something. With a bit of planning, some early starts, a decent map and some shark bait, you too can be one of Amity’s summer tourists. Just maybe avoid all bonfire parties, marching bands, bad hats, and any pearl-clutching women called Mrs Taft. 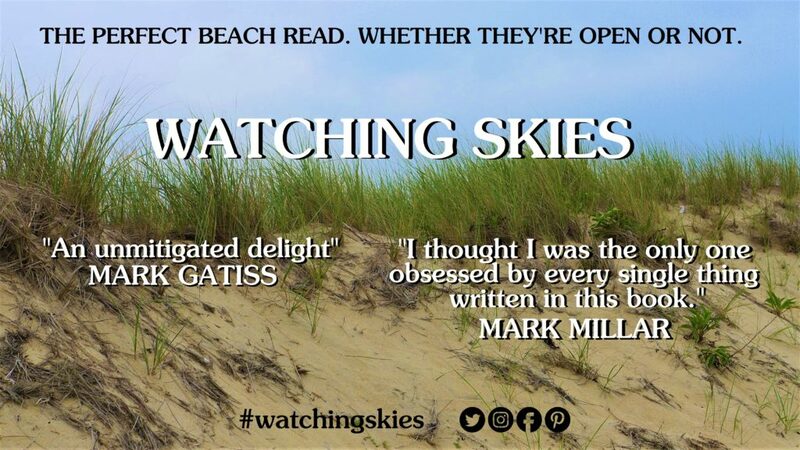 Watching Skies – Star Wars, Spielberg and Us is published now and in the US from September. For more on the book and its ode to a VHS galaxy not that far, far away click here.